Your dream wedding with your soundtrack..
DBX can decorate the venue and turn your vision into a reality! Want the ultimate in wow factor? 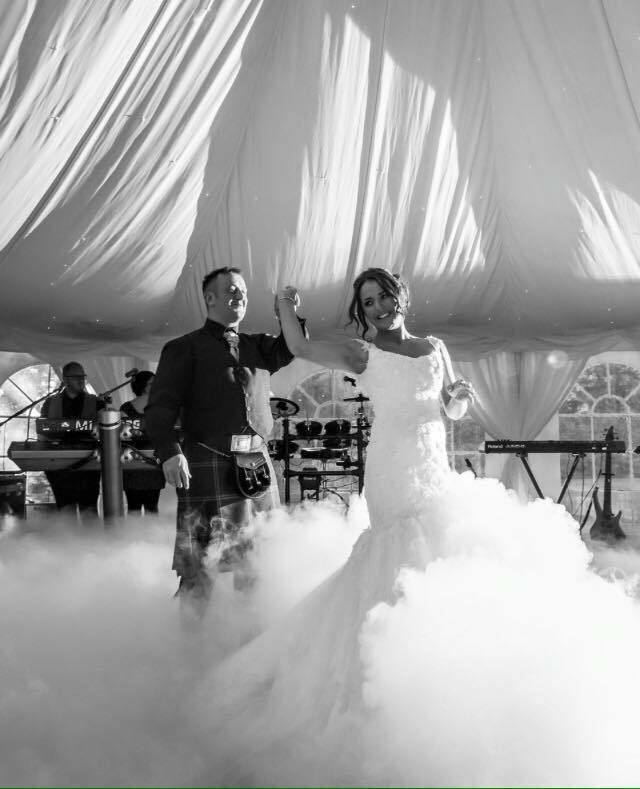 How about having your first dance in the clouds.. 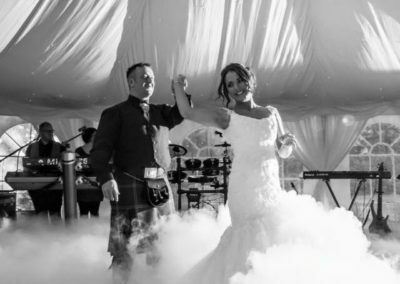 Wedding DJ David Munro and DBX Events are a premier event service supplier catering for Weddings, Corporate and private events all across Scotland. 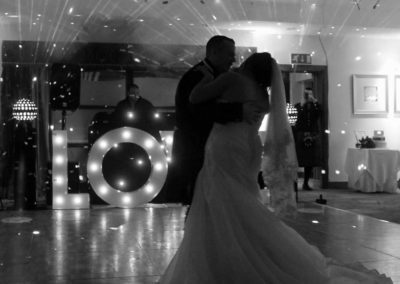 Based in Lanarkshire, DBX Events are recommended by many venues all over Scotland for our LED Dancefloors, Photobooths, Backdrops, Venue Dressing and our Wedding DJ service. All of the products we offer are owned and maintained by ourselves, we are not a booking agent. We work this way to ensure you receive the best service possible. 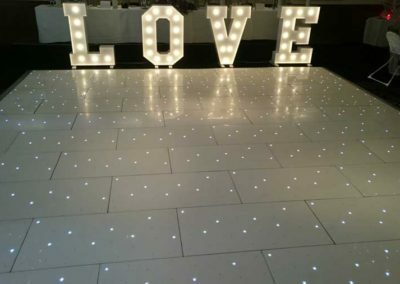 You will find our LED Dancefloors are immaculate and perfect for weddings, Corporate events and other social gatherings. 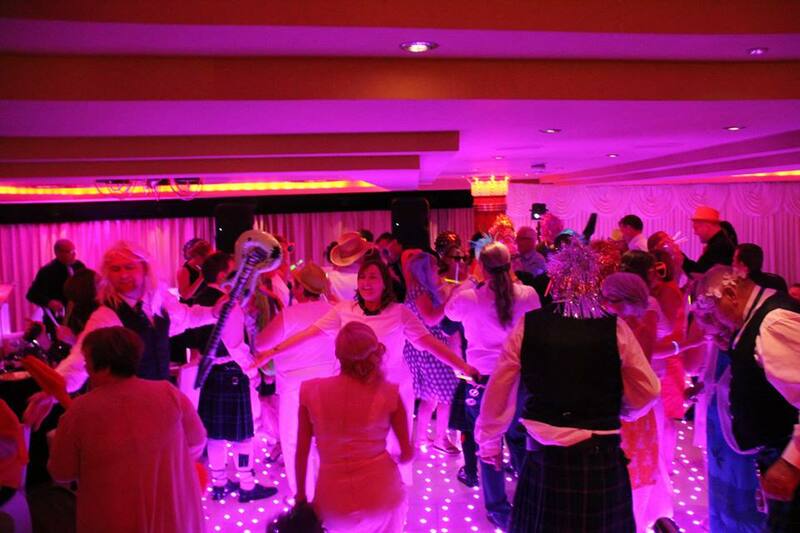 Our Stunning LED Dance Floors are in high demand so we advise booking early to avoid disappointment. We also have a range of Photobooths available to hire too. Our Photobooths are available in 3 options – Selfie pod , Inflatable booth and solid booth. please visit our Photobooth page for more information. 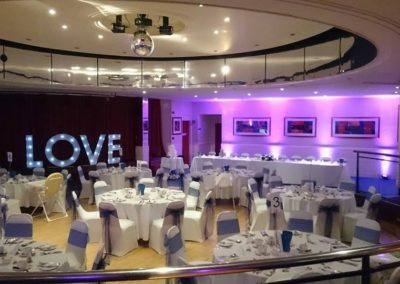 We currently hold a platinum award for our wedding entertainment and well as being finalist in 3 different awards across the entire UK.We are insured, reliable and our professional Wedding DJ is also internationally trained in hosting Weddings and Events. 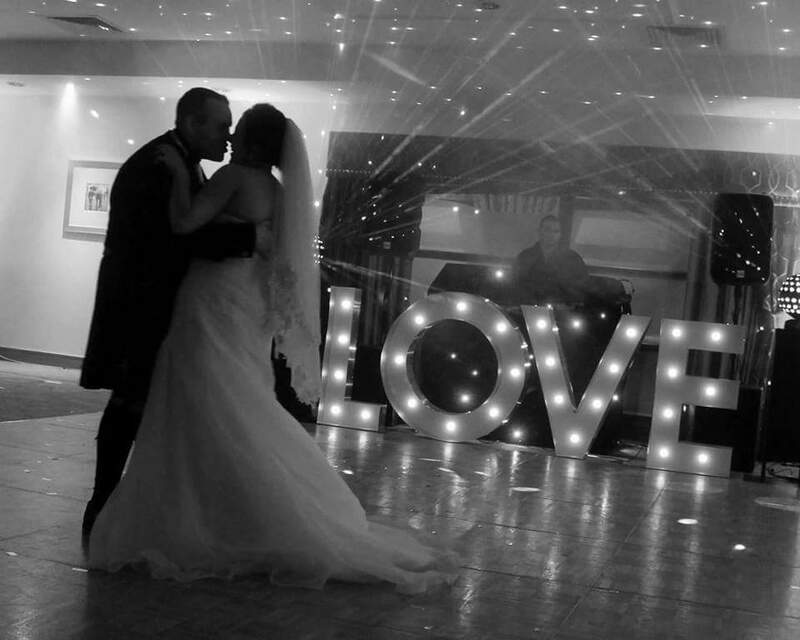 We have worked in the Entertainment industry for over 15 years and we specialise in Weddings. 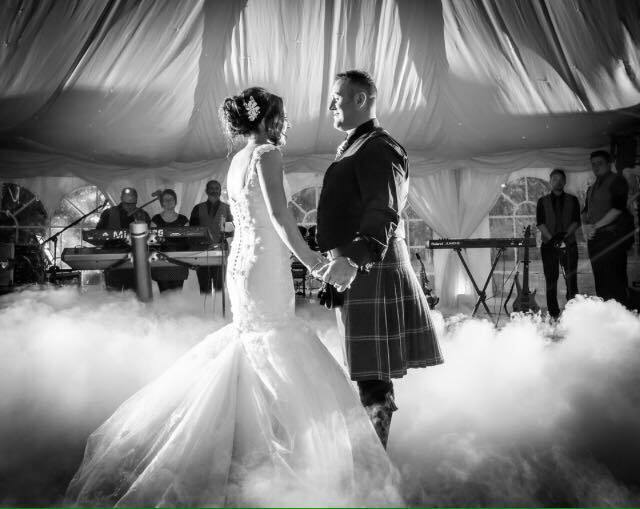 Our Wedding DJ, David Munro would be delighted to meet you in person and go over your options for your day to cover all aspects from ceremony music to your evening wedding entertainment. 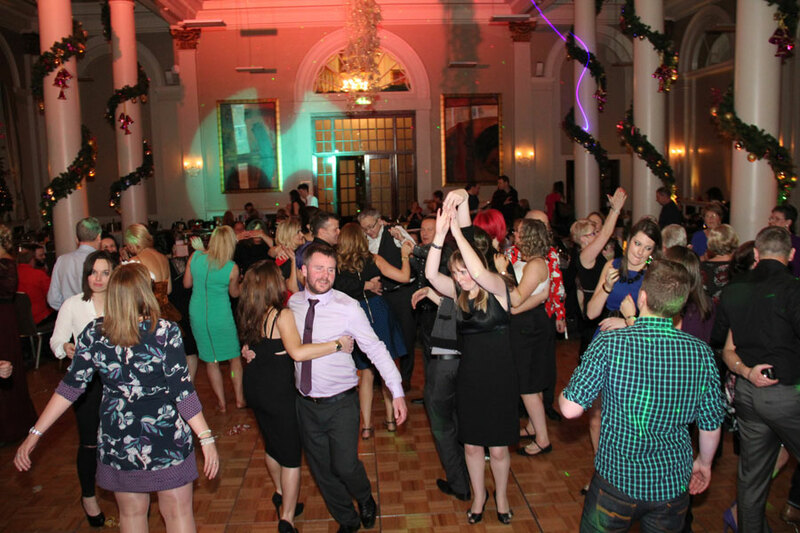 If you book wedding DJ David Munro for your wedding you can rest assured you won’t be disappointed. 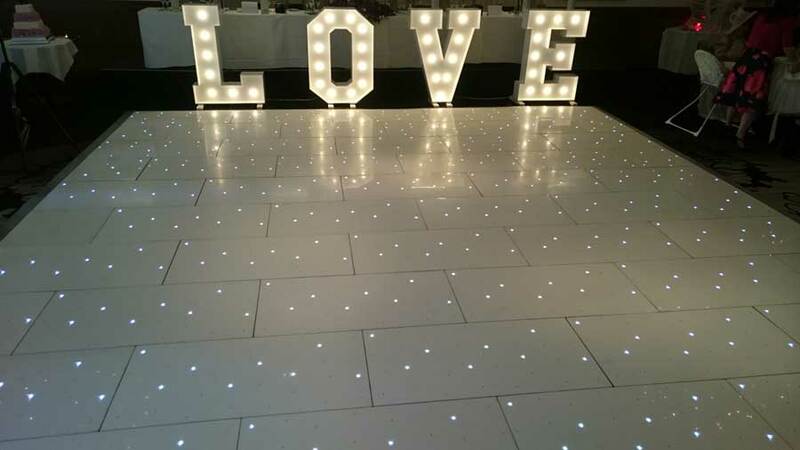 Other Services we offer include Photo booths, Giant letters, Venue dressing including chair covers and backdrops. 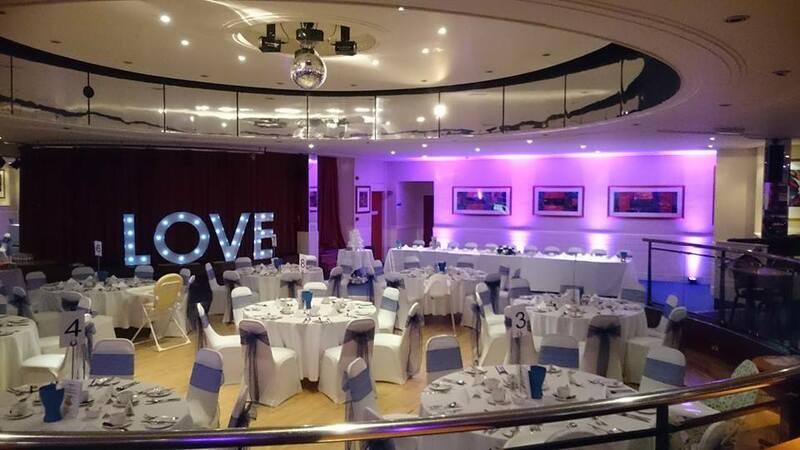 We even offer a number of special effects to add wow factor to your occasion. If you are looking for the ultimate entertainment package for your wedding or event, DBX events will ensure you occasion is one to remember for all the right reasons. DBX Events is a forward thinking and dynamic company who pride themselves in giving service excellence. If you want the ultimate Wedding entertainment package for your event, DBX Events is ready to provide you with the ultimate night of entertainment. Why not pop over to our Facebook Page and check out our reviews ? 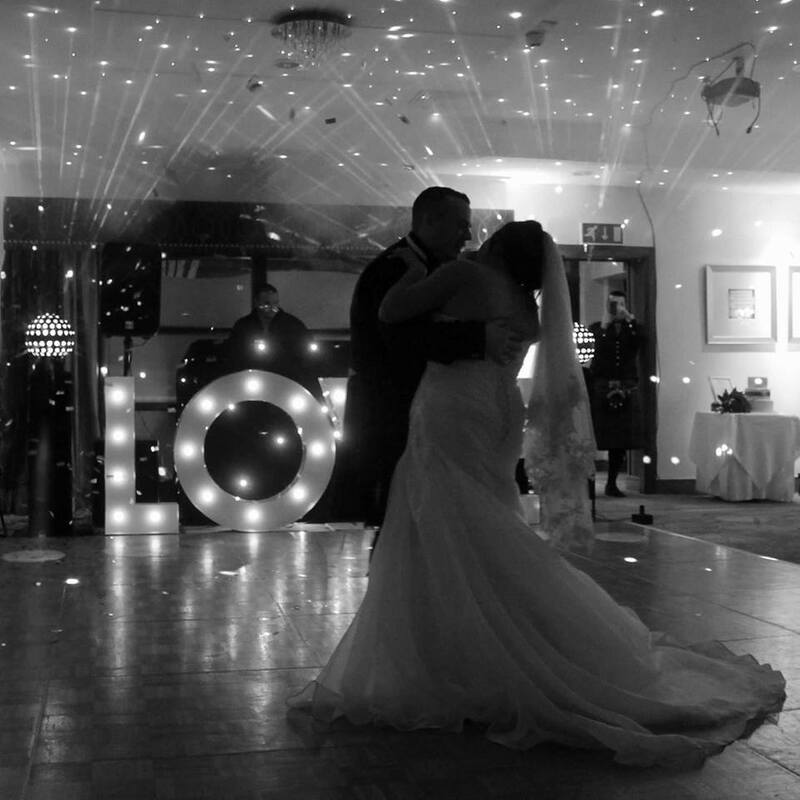 We could not have asked for a better DJ at our wedding, Davy was fantastic to put everyone at ease. He sung the last song of the night which was superb, everyone had a great night. My husband and I can’t thank Davy enough, all our guest thought he was amazing! Davy was great, the whole wedding party was never off the dance floor! Couldn’t have asked for a better DJ, the music was just fantastic.